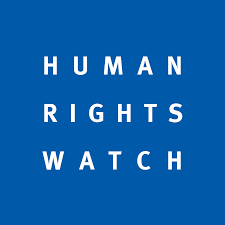 On Thursday 17th January, Human Rights Watch (HRW) released its 29th annual review of human rights practices in more than 100 countries around the world. The report summarises the key threats to human rights in those countries, reporting on events from late 2017 through to November 2018. The 2019 review includes summaries of human rights abuses in countries where our partners are based, or relate to issues affecting them. The report does not include Timor-Leste. Last year, the Armenian government transformed many residential institutions for children with disabilities into community centres, but these programs are yet to include children with disabilities on an “equal basis” with other children. While authorities continue to commit to full inclusive education by 2025, some children with disabilities in Armenia are still institutionalised. “Despite some progress, children with disabilities continue to face segregation and stigma, and do not always receive reasonable accommodation in schools to enable them to study on an equal basis with other children”, the report says. In 2018, conflict between the Burma military and ethnic armed groups escalated, according to the Human Rights Watch report. Clashes over Kachin, Shan and Karen States were stoked by “large-scale development projects and disputes over natural resources”. Ethnic minorities were affected by indiscriminate attacks, forced displacement and aid blockades while reports in Kachin told of civilians being used as human shields. “The UN fact finding mission determined that the military’s actions in Shan and Kachin States since 2011 amounted to war crimes and crimes against humanity”. The HRW review highlighted continuing pastoral conflicts between Fulani herdsmen and farming communities in Nigeria, where the attacks are “increasingly reported in religious terms” In June, violence was incited after farmers allegedly killed five herdsmen for trespassing on farms in Plateau State. In retaliation, Fulani herdsmen attacked several villages in the region, killing 86 and injuring hundreds. September brought similar reports, recording 51 fatalities and the abduction of 24 farmers in Numan, Adamawa State. The review reconfirms South Sudan’s status as one of the most dangerous places to be an aid worker. An estimated 12 aid workers were killed in 2018, bringing the death toll to over 100 since December 2013. Rebel and government forces have attacked aid workers and restricted humanitarian access to civilian populations at severe risk of starvation and disease. “In February, rebel forces detained 29 aid workers in greater Baggari area and released them after one day. In April, 10 aid workers were abducted for five days In Yei, in the former Central Equatoria state”, the HRW reports. More than two million Sudanese civilians remain displaced due to the war that has been raging between opposition and government forces since 2013. In South Kordofan and Blue Nile State, where armed conflict began seven years ago, rebel and government forces have “failed to agree on modalities for supplying life-saving aid to civilians in need”. Those monitoring the situation of human rights in the country reported government-aligned militia attacks in Blue Nile in April last year. Warring parties continued to use unlawful weapons in 2018, according to the report: “Human Rights Watch investigated 36 cluster munition attacks between July 2017 and June 2018 and another two-dozen more possible cluster munition attacks”. The Syrian-Russian military alliance used chemical weapons and cluster munitions, both internationally banned, in efforts to recapture cities across Syria, while evidence also suggests the alliance used incendiary weapons in Ghouta and Daraa. HRW has investigated the targeting of non-governmental organisation in Uganda, with offices of over two dozen NGOs robbed, and some of their security guards killed in recent years. “The targeted groups worked on “sensitive issues” including human rights, land, and resource governance and corruption”, the report states. In February this year, unknown assailants broke into offices of Human Rights Awareness and Promotion Forum, which provided legal services to marginalised groups (LGBTI). In August, assailants broke into and stole from women’s rights organisation Isis-WICCE.